By now you have realized that this blog is all about Indie books. We love them. 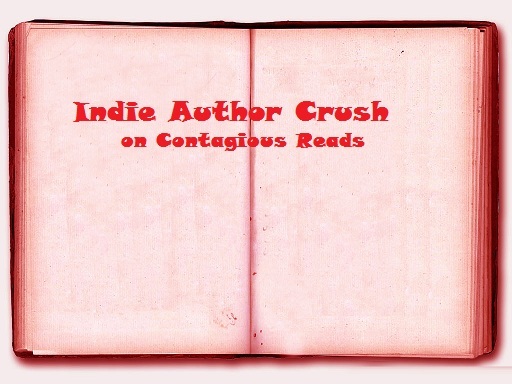 They are what “feeds our readers.” It’s also no secret that I have some serious author crushes. So I want to share these awesome authors with all of you guys too. 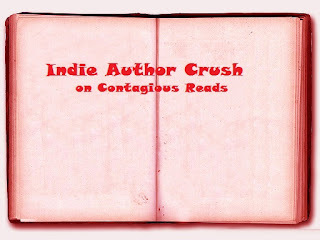 Hopefully, I can get some short interviews or even guest posts from Indie authors. Anyway that is my plan for now. I will put it up every Thursday from now on. If I miss a week or two forgive me. I’ve been crushin’ on this ladywriterfriend since Kami first introduced me to her work this past winter. She writes brillant YA with a paranormal twist. To Tamara: Thank you so much for answering my questions and enduring my stalking! LOL. Without further ado I give you my interview with Tamara Rose Blodgett! I’d like to thank Lori Parker for taking the time to spotlight me here today. 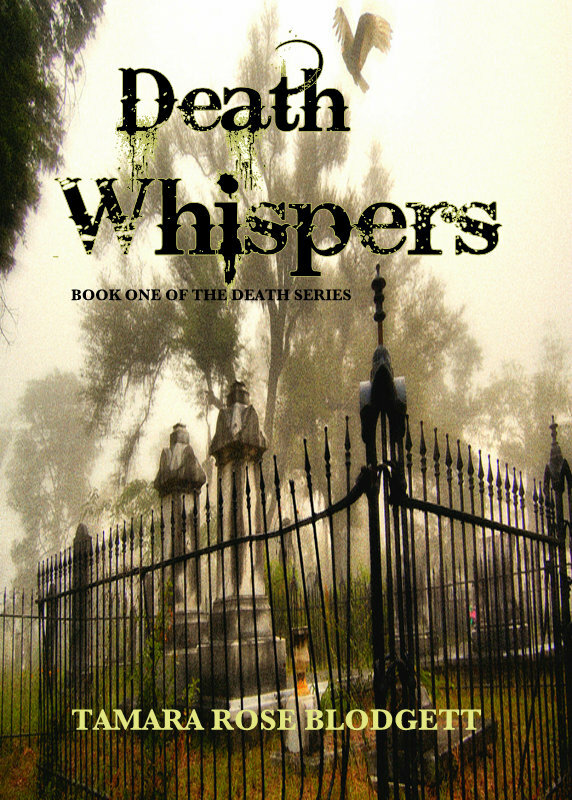 LP: I am actually interested how you came into the world of self-publishing?I know that you started with Death Whispers over a year ago and have beenchurning out super awesome novels since then. I would love to hear about yourjourney to this point. 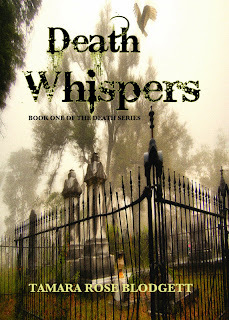 TRB: I began DEATH WHISPERS in February of 2010. My boys were complaining that there wasn’t a lot of teen fiction where the guys spoke and acted realistically. I’d always wanted to write and was drawn to it my whole life. I’d begun a novel in 2007 (BLOOD SINGERS) and put it away when I finished it; too intimidated by all the processes to press forward. My #2 boy bugged me about SINGERS until I got serious with Whispers and the idea for the Death Series was begun and I ran with it. When the rough draft was complete, I went through the same route a ton of other authors go through: the query merry-go-round. I wasted about 3-4 precious months messing around with it and got back a little feedback from a few agents that helped my direction with the Death Series. One agent was pretty excited about Whispers and asked for a partial ( that’s about 50 pages). He liked what he saw but said he’d want revisions and then he’d see the whole tamale. Anyway, I was literally, manuscript in hand, when my husband saw an article about Amanda Hocking (indie princess/guru/icon) and he said, “I think you should go indie.” He looked into it and proclaimed (insert sign of the cross here) it a Sound Idea. So, without further ado I hit “publish” for Whispers and the rest is history. I had a vague idea about where the series was going and just kept writing. 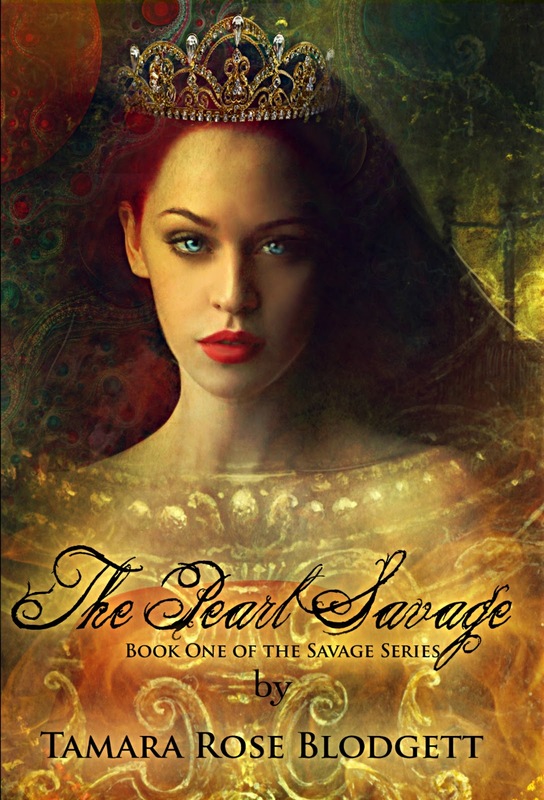 I didn’t have a grand plan but was diligent about my schedule and gradually, THE PEARL SAVAGE was completed. Then DEATH SPEAKS (book #2) came to be and I really started rockin’ and rollin’. It’s almost as if a snowball started on top of the mountain and the books are chunks of snow. Now I’ve got this ginormous snowball careening down the mountain with no end in sight. I love it that way. The journey to this point is me getting the hang of my schedule, writing consistently and not getting overwhelmed and discouraged by all the things I had to learn along the way. What really took me by pleasant surprise was how much I’ve connected with my readers. They’re smart, savvy, funny and supportive. It feels like I’ve got friends out there that I keep discovering. It was/is a wonderful addition to my life as an author. LP: Tell the truth are you totally pumped to write juicy adult love scenes in your new Adult Fantasy Book The Reflective? That’s funny in a big irony sort of way. I was just thinking about how it’s been a little challenging to constrain my books to young adult/teen. I am sure that some readers have felt the tension that hovers at that line of teen and truly adult material in my work (think THE SAVAGE BLOOD and that scene between Matthew and Clara with the nightgown). Especially as I’ve matured both Death and Savage. 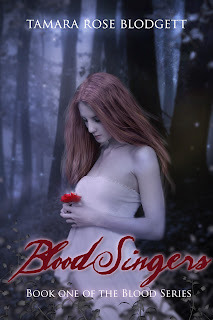 BLOOD SINGERS was always a young adult mature and book #2 will be what is now being coined as “new adult.” This gray area is not easily defined but I will be very careful about my identifiers so readers can make an informed choice about their download. And oh my… yes. There will be real, adult “meat” to THE REFLECTIVE, not gratuitous, but necessary for the tale. These are inter-dimensional mercenaries that police exploitation in different worlds. They must be many things and deal with many mature and complicated issues. They don’t have time and realistically, the Reflective would not slow down or sugar-coat anything for anyone. There will be mature scenes. Some will be love, others will be violent. Be prepared. It’s my hope that my readers can and wish to transition into this more mature fare. LP: What influences you to write? Do you write listening to music? Do you use visual cues to help remember things? Like photos of your favorite places or places that remind you of your worlds? TRB: My experiences have influenced my writing. I’m a little silly and see the humor in the every day. When I was little I would guffaw about stuff and my mom would smirk and say, “You’re easily amused, darling.” I was. I still am. It’s sort of a problem. That crooked mouth problem Caleb Hart has in Death? Yeah… he comes by that naturally. I’m not sure about Savage or Blood. That is its own thing. People that know me on a personal level and that have read my books say they “hear” me in those works. Of course, I don’t! I have blaring music going all the time and have only a small portion of my playlist on my blog right now. I cannot write in silence. It really messes with me. I’ve written entire chapters in Starbucks with coffee grinding, chairs tearing around, peeps chatting, and elevator music (that’s the only kill-joy, that). Disharmonia is battle scene ready, I’m just sayin’! Boy #2 has come up with 90% of my music because he knows what I love. He FBs the link to me and there is another great song to add to the background. The whole story is a visual cue. Picture this, it’s almost like cheating: I see the characters in living color with Beats sound. You with me so far? Then, I quickly write down all that they’re saying and doing before it moves to the next “frame.” That’s it. There’s my writing in a nutshell. Then, the next writing session, I read what I wrote before, then press “play” in the movie inside my head. This is where the Voices in my Head tab on my blog came from. The film’s always running guys. There is no place that reminds me of my worlds. I researched the midwest for Savage. And became barely expert on pearls for book #1. I used a scrambled up version of one of the houses I grew up in for Whispers. You write what you know. That’s where my age really helps out. I’ve lived just long enough, had just enough life experience, that I’ve drawn a lot from that to help with the “worlds.” It’s all from my perspective though! A lot of my readers are keenly aware that I daydream a lot (my poor kids sure are!). That’s just how THE REFLECTIVE came about, a daydreaming session run amuck. LP: All of your books contain supernatural elements (which we love). Have you ever considered writing a straight forward contemporary romance? TRB: I am considering that (I have been for months). However, it seems that all my stuff always goes to the supernatural bent. I do have a title and story in mind about a true love carved out of tragedy. It’s so brutal and so raw, I don’t know if my readers would be prepared for it. It may be a title for a pen name. Sometimes, when an author crosses genres, it can be a real complication. An author that I think ROCKS, Jamie McGuire, bridged this beautifully with her works. It can be done. LP: What’s up next for you? You are always surprising us withnew books and ideas! TRB: Thanks, Lori! I’m wrapping up Death in December with Unrequited. Savage has two more stories for sure where we flesh out Calia and Evie’s stories. Blood is three for sure with BLOOD CHOSEN releasing in 2013. That will be Really Something there, Chosen, oh man! My new spin-off series (new adult, mature YA) will feature our boy Clyde (you guys can swoon, I am). He will be the lead in this one and I think he has the chops to be All That is Man (or zombie). The title is: For The Love of Death. I already have a cover in mind and am stoked to let him talk, his sarcasm and wit reign supreme and his muscles will flex with his alpha-ness. Currently both DEATH WHISPERS and THE PEARL SAVAGE are free everywhere. I’m excited about it, download your copy today and thanks for listening. Lori: Thanks again for spotlighting me. To my readers: thank you for making my writing a less lonely pursuit. I love ya. HERE’S THE MOST IMPORTANT THING ABOUT ME: To my readers: thank you from the bottom of my heart for reading my stories! Tamara Rose Blodgett, is a “thinking-out-of-the box” paranormal enthusiast who believes there’s a 95% chance zombies do not exist; but loves to write as if they do. She’s also partial to the Alpha male in her work in its many guises. She enjoys living in Alaska and has worked as a journalist. Kindle Users you can find these books and Tamara HERE! Nook Users can find these books HERE! Most other e-readers can find her books HERE! 🙂 I loved interviewing you. I feel like I know you so much better now! Thank you for agreeing to do it.